S.T.A.R. railing systems (an acronym for Snap Tight Aluminum Railing Systems) is manufactured by its parent company East & West Alum Craft. The parent company was founded in the mid 1960’s by self described “Guru of Aluminum Railing “ Joe Zen. The quality S.T.A.R. rail products are manufactured in the company’s factories totaling 65,000 square foot facility located in greater Vancouver and Calgary, Canada. The in-house fabrication line is capable of producing over a 1000 feet of rail a day from the simplest applications to the most complex railing designs, and the powder coat finishing line (AAMA 2604 & AAMA 2605 compliant) allows them to produce your railing product from start to finish. Company founder Joe Zen a pioneer and trendsetter in the railing industry passed away in 2008. Zen’s sons, Paul and Sergio who have 50 plus years experience between the two, along with General Manager Tony Dente and their strong crew of highly experienced iron workers, continue to offer the ingenuity to differentiate themselves from the competition. While the parent company East & West aluminum specializes in manufacturing of a custom welded design build railing for large scale commercial applications. It has completed hundreds of thousands of feet of railing applications throughout North America’s harsh climatic regions. It‘s subsidiary company S.T.A R., specializes in manufacturing of a heavy duty, versatile, modular rail systems suitable for both residential and commercial applications. Whatever your railing needs are we have the solution for you! The S.T.A.R. system is an engineered railing system capable of meeting stringent North American building codes. 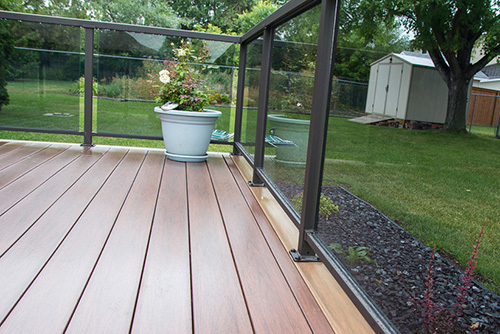 The systems modular construction allows for versatile field assembly of the patented railing components with the ability to adapt to any deck configuration. Along with the systems patented adjustable stair rail system, it minimizes the head-scratching over stair installations. Our customers love this feature and you will too. Most of our growth has come from repeat business of satisfied Architects, Developers and Contractors. We welcome the opportunity to show you what the S.T.A.R. systems can do for you on your next railing project.